As we see in our surroundings that every youngster wants to become an actor, singer, music artist, music composer etc. But if you don’t have a lot of resources and interested in music composing, these top 5 music composing apps will surely help you. You can install these apps from Google play store for free on your Android phone. So, don’t throttle your dream and interest of music composing. Read carefully about these free android apps to compose music on your Android phone and tablet. 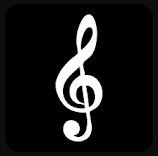 Music Maker JAM is one of the best and easiest music creator application on Google Play Store. It lets you compose music in the variety of genres like EDM, trap, hip-hop, house, pop, rock, and more. All you need to install the app and pick from thousands of studio-quality loops, beats and samples to start mixing your new track and then share instantly with a worldwide audience. If you’ve a deep interest in music composition, it’s the best app for you. You can compose music with this app on your Android phone and share it on SoundCloud, Facebook, WhatsApp and other social platforms to get noticed by millions. The Music Studio offers a complete music production environment for Android users with lots of outstanding features including the user friendly interface, real-time effects and more. It has various studio quality instruments and keyboard piano to compose music on your Android phone at the best quality with as less efforts as possible. You can visit the Music Studio app on Google Play Store via the above link and check out the whole features. Or just give it a try by installing in your device and check if it’s suitable for you or not. Ensemble Composer is another free Android app to compose music on your phone and tablet. It is very easy to use as compared to above apps. With the help of this Ensemble Composer app, you can be a talented music composer anywhere. This app also enables you to record your flashes of inspiration wherever they strike. Visit the link to see the more features and details about the app. You can also install this app from this link on your Android device. Maestro is a perfect music composer Android app for music students, classical music composers, songwriters and everyone who wish to write music easy. It contains with lots of interesting features for music composition and the best part of this app is that it’s absolutely free to use without any limitations. Draw Articulations, Note Relationships (Tie, Slur, Triplets and more), Accidentals, Dynamics, Octave Up and Down and more. It comes with many more great features such giving name to your masterpiece by naming title, subtitle and composer, listen to it anytime and more. That’s all guys! Install any of them for your entertainment. If you are serious to become a musician, these apps are mandatory for you. These apps are the best platform to learn music composition. Nice music making apps. Thanks for sharing. You missed AIVA for music composing.